Look what we found in the hall by our bedroom today. 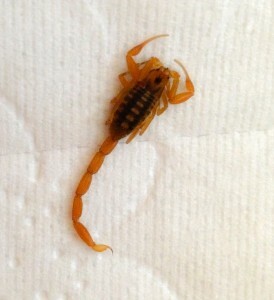 Saw lots of these little guys in Death Valley, but a first for here. Jade couldn’t figure out what it was exactly and thank goodness it was dead. For all I know, she may have done it in. I am dreading leaving tomorrow. Not looking forward to returning to the bitter cold north. I only have a few days of it and then back I come to the warm south. 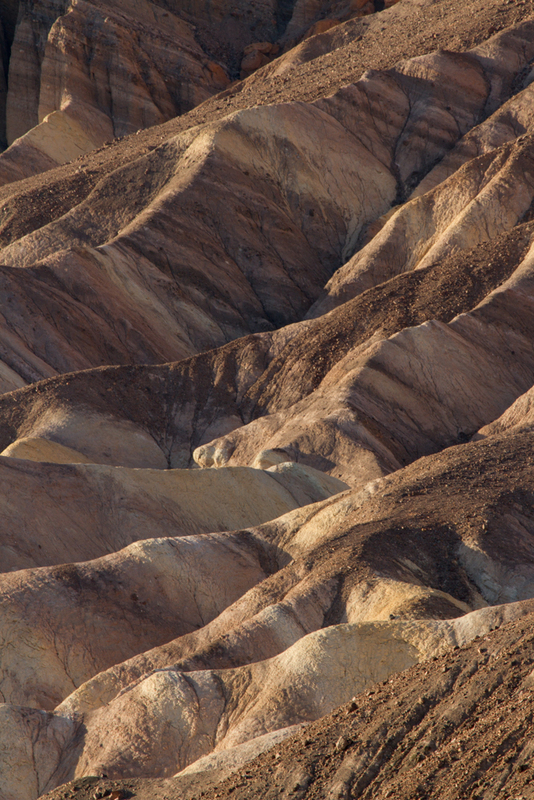 Death Valley certainly has plenty of texture and line, as well as, lots of beautiful color. 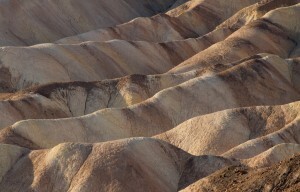 This was taken at Zabrinski point. Late afternoon with the golden light fast disappearing. I will be heading to New Mexico in just a few days to enjoy a whole new area, White Sands. 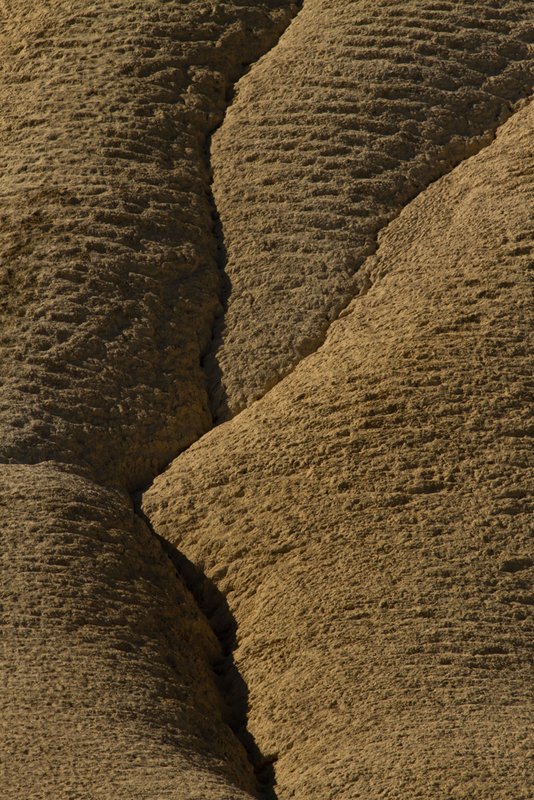 Imaging sand dunes has become a real favorite of mine. Getting to work in my friend, Craig’s studio and printing some of my photos, will be a real treat. Rain is finally forecast to move in to the drought area of CA and AZ. In fact, I heard the phrase, flash flooding, being predicted this morning. Nothing in moderation, I guess. Day 57 I Do Not Understand! Can you tell me why mayo, that I have been told since I was a child needs to be refrigerated, is now ok to be left out? 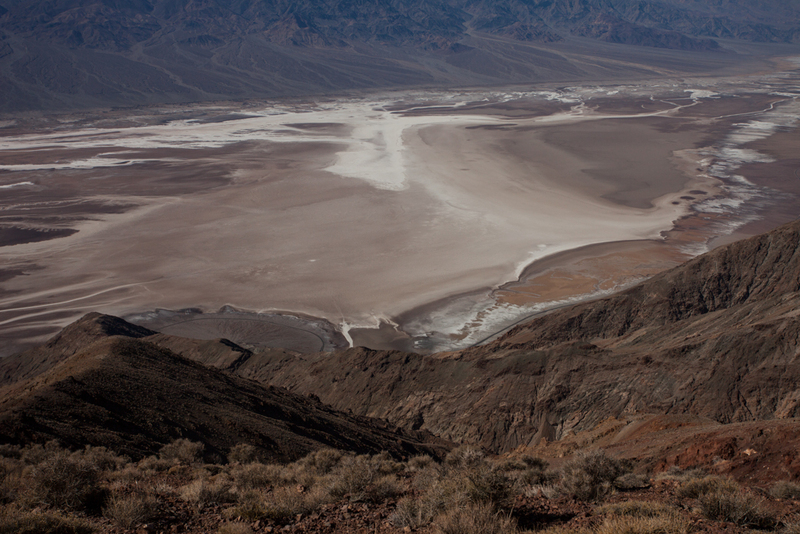 I could not believe it when there it was with the sugar, salt and pepper on a restaurant table in Death Valley. 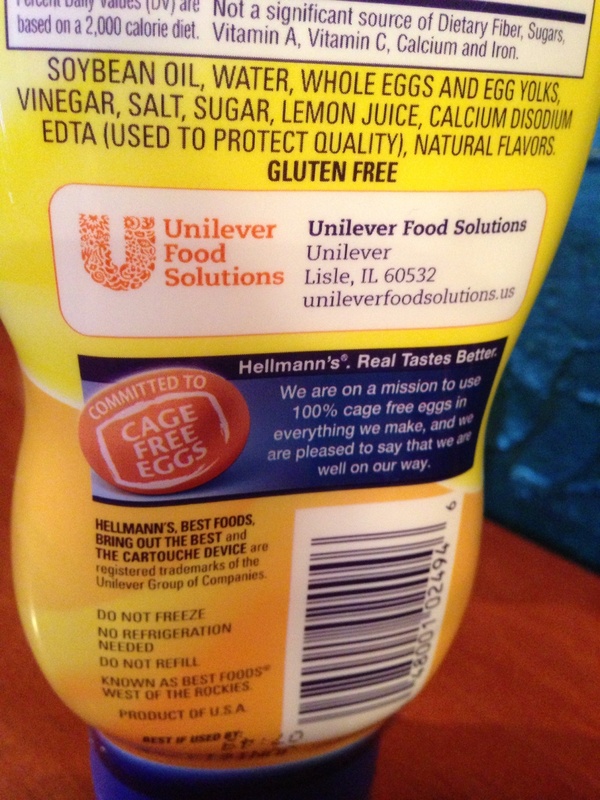 Sure enough, here it is, the writing in all it’s glory- no refrigeration. Now you tell me what scary chemical is in there to keep us safe and it fresh? Something is just not right there. I feel very lucky to have control of a good share of the food I ingest. One of my favorite veggies is asparagus, especially the tender first shoots. My grandma had a patch in her back yard that we enjoyed harvesting. I am going to miss the abundance of organic fruit and veggies here. We are hearing that the price could go way up due to the drought. That garden I am going to raise this year is sounding better all the time. 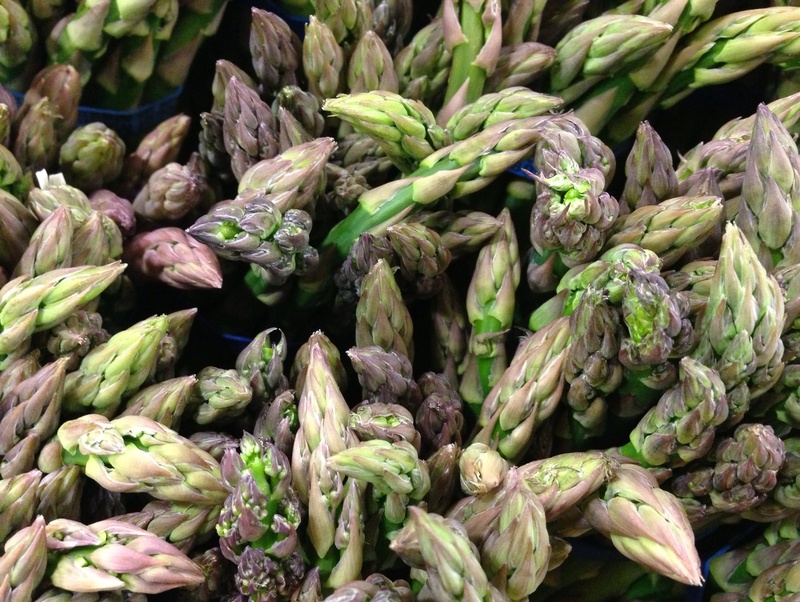 In the meantime, Bountiful Baskets to the rescue. Death Valley has so many examples of texture and line that one has a problem knowing where to start. 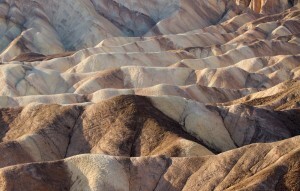 I love Zabriski point. These were both taken there late afternoon. This is a view that I never get tired of. The color and form here is just gorgeous. We were lucky to get to view it though, as that area will be soon closing for repairs to the viewing area and will be inaccessible for some time. 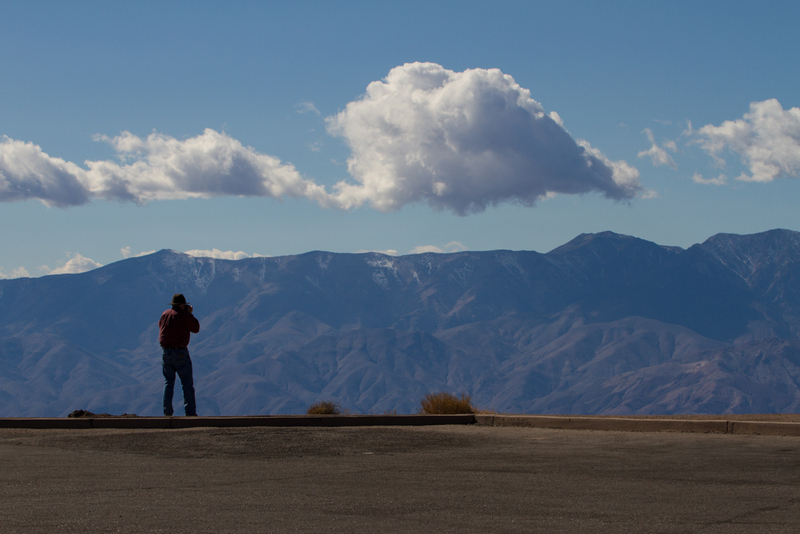 Here are three shots that Walter took from our excursion to Dante’s View. The first photo shows the salt flats of Bad Water right below where we were earlier. 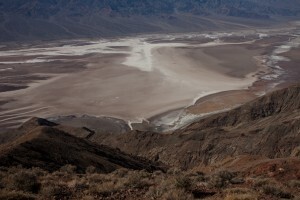 You can see the walking path that goes out to the salt formations if you look close. 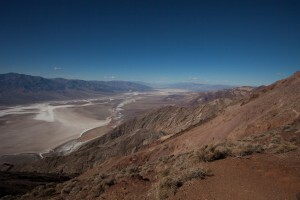 The next two views are looking down toward Furnace Creek, Cow Creek and beyond. We spent a few hours at the Mall of America and have nothing else to do, so it is off to the movies tonight. The new Pompeii movie started this weekend. Should be fun to see it in the huge theatre here. The story of Mt. Vesuvius erupting got my attention big time in my childhood. I wish I had gone there while I was in Italy a few years ago. This was the view I woke up to this morning. Mother Nature is not funny! Enough already is how most people in Minnesota feel. The third photo is from our drive to Rochester. 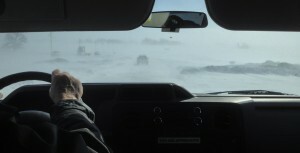 The worst roads I have ever seen. Shortly after this shot, the road was closed. 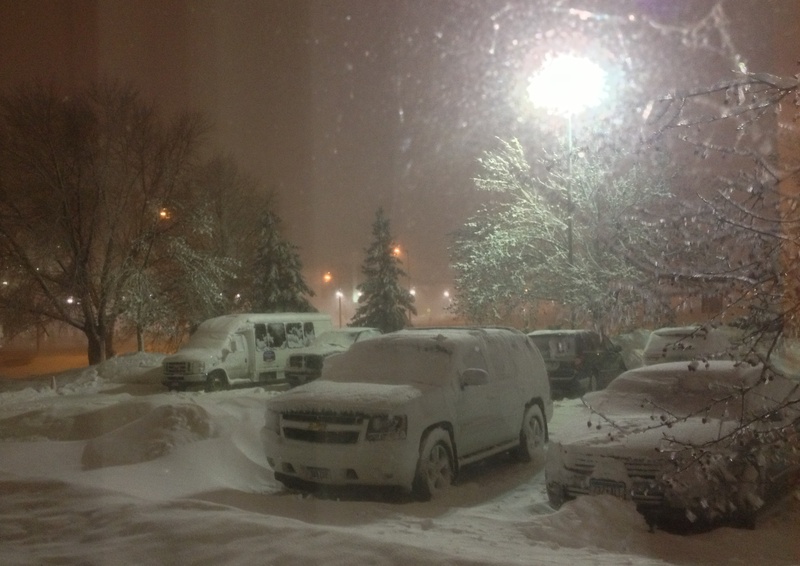 We are now stuck in this winter wonderland until the road is plowed. While sitting there in none moving traffic, I realized I needed to look at the positives. We were going to see our doctors which is always a good thing. We were able to get a ride on the last and only shuttle heading out. 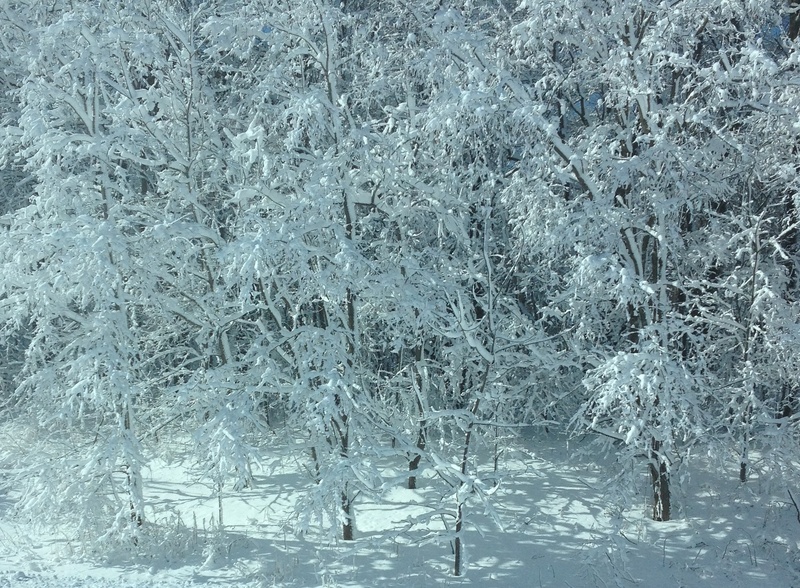 And then I looked out the window and saw the beauty of snow heavy on the trees. So, all is not bad. In fact, it is a good night!! 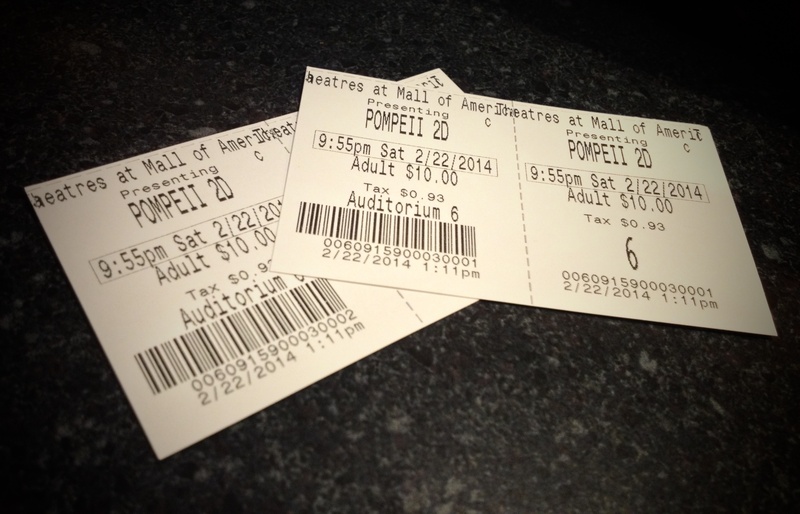 Might even go see Pompeii tomorrow. Day 51 I Lived to Tell the Story! Death Valley is a treasure full of lines and patterns. This was my third trip here and Walter’s first and each time gets better. We even went to Dante’s View which looks over the whole valley. It is 5476 feet in height. I refused to go in the past, but shut my eyes this time as we drove up the horrible hill and sat in the vehicle in the middle of the viewing area. Walter took the photos! Go, Walter. There are two viewing points that look scary to me. Worse than Going to the Sun Highway even. But I did it and lived to tell about it. 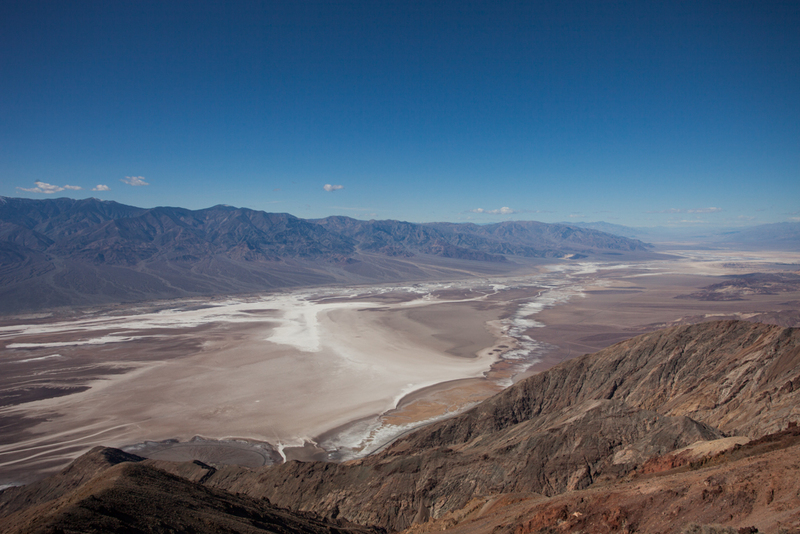 The view right below is the salt flats at Bad Water where you can walk out to the actual salt formations. Look closely and you can see the trail. That is the lowest spot in Death Valley – 282 feet below sea level. That is also the lowest point in North America. More photos to come. We had spent a day at the Mesquite Dunes in Death Valley and were headed back to Sedona, when out of the blue came, a sign along the road just outside of Beatty, NV saying Big Dune. No way could I pass up an opportunity to see more sand dunes. It is a 1.5 square mile complex star dune with the tallest point topping out at 500feet. We only saw two vehicles that were camping. Really secluded and not much traffic for sure. Here is a shot I took with my 70-300 from a long ways away. I converted it to B&W and am not sure which way I like it best. It sure is a place I plan on return to photograph. I only regret that we were on a tight time schedule and couldn’t take the time to get closer and do some closer shooting. It was early morning light and I would have liked a bit more of that golden light. Photos tomorrow!! You are currently browsing the Window on Cherry Pie Lane weblog archives for February, 2014.